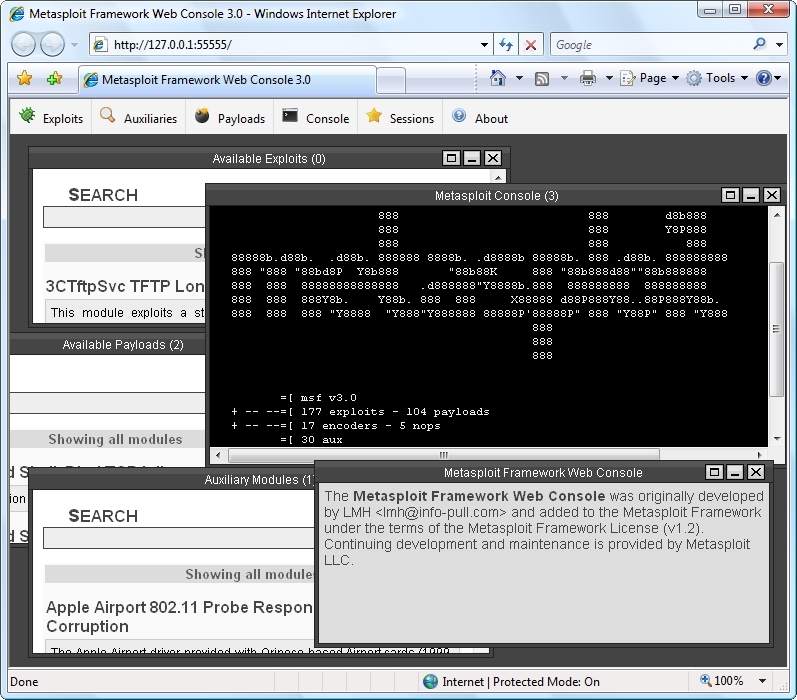 Metasploit took the security world by storm when it was released in 2004. It is an advanced open-source platform for developing, testing, and using exploit code. The extensible model through which payloads, encoders, no-op generators, and exploits can be integrated has made it possible to use the Metasploit Framework as an outlet for cutting-edge exploitation research. It ships with hundreds of exploits, as you can see in their list of modules. This makes writing your own exploits easier, and it certainly beats scouring the darkest corners of the Internet for illicit shellcode of dubious quality. One free extra is Metasploitable, an intentionally insecure Linux virtual machine you can use for testing Metasploit and other exploitation tools without hitting live servers.